Are you one of the millions of Americans that buys store brand vitamins and supplements? Well according to a new report by the Washington Post, you probably aren’t getting what you think you are getting. The New York State Attorney General’s office conducted a study into Walmart, Target, Walgreen’s and GNC private label supplements and found very little to none of the substance advertised in the pills. What they found were things like wheat radish, mustard and other substances that were decidedly non-herbal. Even worse, many of the things found are known allergens like wheat which can cause adverse allergic reactions in some people. 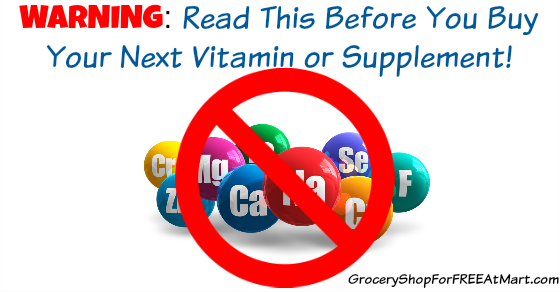 The New York AG office has sent cease and desist letters to the four chains listed to force them to stop selling the products in NY, but chances are most of you reading this article don’t live in New York which means these potentially harmful pills can still be found on your shelves. How can this happen? Well these supplements aren’t food and they aren’t really drugs so the Food and Drug Administration has no oversight into the multi-billion dollar vitamins and supplements niche. That means no one knows if the Fish Oil pills I take every morning actually contain fish oil or if I’m downing 2 big pills of petroleum jelly with my morning coffee. We clearly need the FDA to step in and take over whatever oversight needs to happen to this niche. Call your local media and ask them to do a story on this and call your congressman and ask them why the Government has dropped the ball here. It’s only a matter of time before more people get hurt.